The Periscope apps for iOS (Apple) and Google Android were released in spring 2015, ushering in a new era of accessible video streaming, live broadcasts via mobile, and social networking. Or as they say, seeing the world through someone else's eyes. After inventing the Periscope concept and raising the money to develop their ideas, founders Kayvon Beykpour and Joe Bernstein sold their company to Twitter in January 2015.A few months later, Periscope announced that it had over ten (10) million accounts (“Scopers”) and was responsible for forty (40) years worth of video being viewed on a daily basis. What are the implications of Periscope use for your traffic generation and social media marketing strategy? 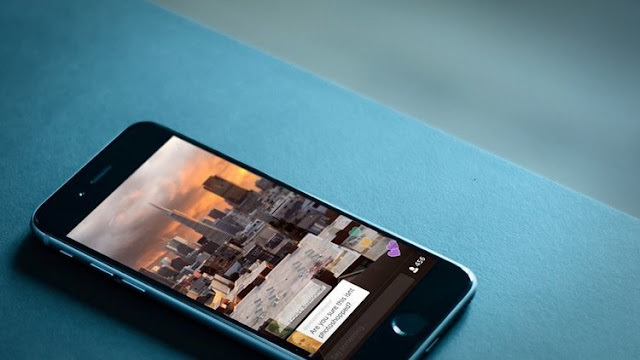 In this article, we explore some of the most relevant ways business can use Periscope. Adding your URL in your profile or bio. Make your URL easy to remember, because it will be easier to promote – even beyond Twitter! In your Periscope bio, mention what you intend to scope about, so that visitors can easily judge if you'll have what they are looking for. Link your call-to-action (CTA) and/or offers to each individual scope. Don't forget to mention free downloads or your latest blog title, not simply a request to visit your website. Direct people to yourwebsite.com/periscope so that visitors can easily follow your scopes on a regular basis. Periscope presents entrepreneurs with a whole new way of sharing that's quite frankly revolutionary. Present your video content in an appealing manner, one that is authentic and transfers useful information and knowledge to your visitors.Like rival Snapchat, Periscope video uploads only stay uploaded for a maximum of twenty-four (24) hours. Since scopes are real-life events, you can easily inspire complete strangers to latch onto your voyage of discovery, and subsequently you gain prospects, customers, and even friends. On December 9, 2015, Apple gave Periscope a huge boost by naming it its iPhone App of the Year. Thanks to its parent company ties, a user can watch streamed video or broadcasts without leaving the Twitter application (note: ideally, online broadcast capability should soon also be coming to Android soon). This opens up possibilities for traffic generation that rival opportunities on far more established platforms. Broadcasters can now reach Twitter audiences with real-time streaming video, and visitors to your feed can eagerly look forward to rich home timelines, search results, and even friends who are willing to share “Periscopes”. Tell Your Business Story as it Evolves! Periscope gives you the opportunity to take storytelling to a whole new level. Instead of being restricted to static forms of communication like plain text, standard tweets, salesletters,and images (or even emojis!) take advantage of short video clips to highlight relevant aspects of your business activity. Depending on your ideal target audience, you can fine tune your message and accept near real-time feedback to get a better sense of what viewers want. Entrepreneurs from a variety of fields can use Periscope to brand themselves and their company with novel postings that make them appear more alive from a distance. People who have signed on cannot help but marvel at the organic nature of its traffic-generating capacity. Although real-time streaming can be (and has been) abused in some cases, Periscope via Twitter remains another vital step in the user-driven digital revolution that is breaking down technological, social, and even economic barriers to change.